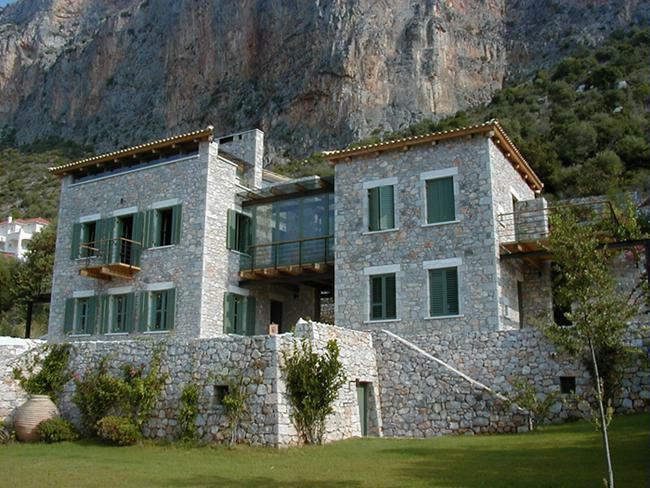 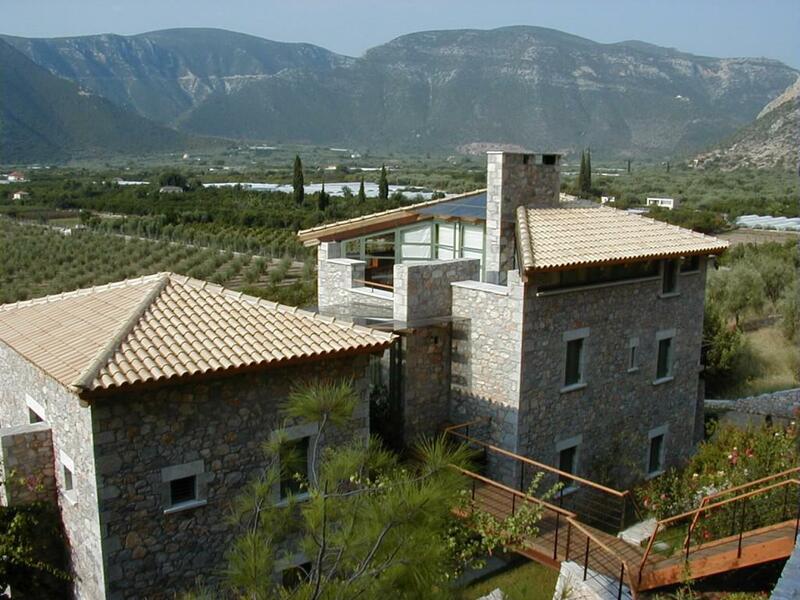 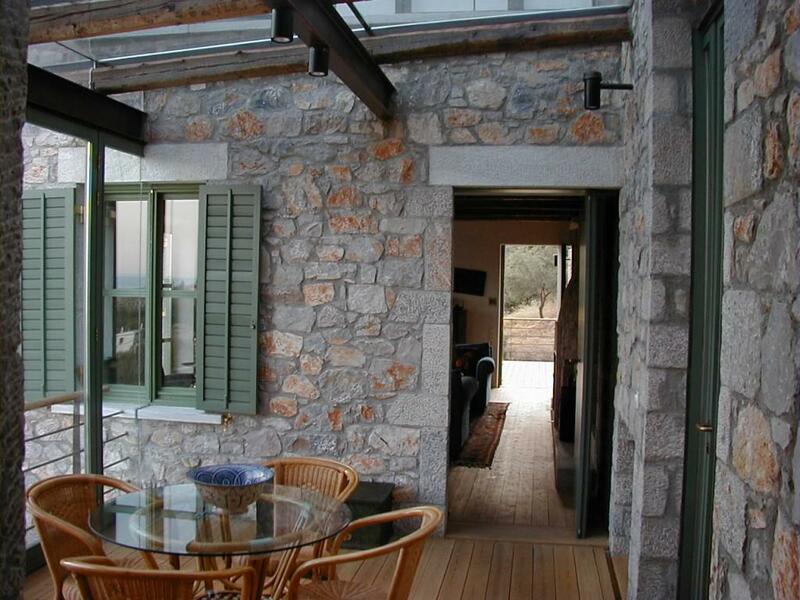 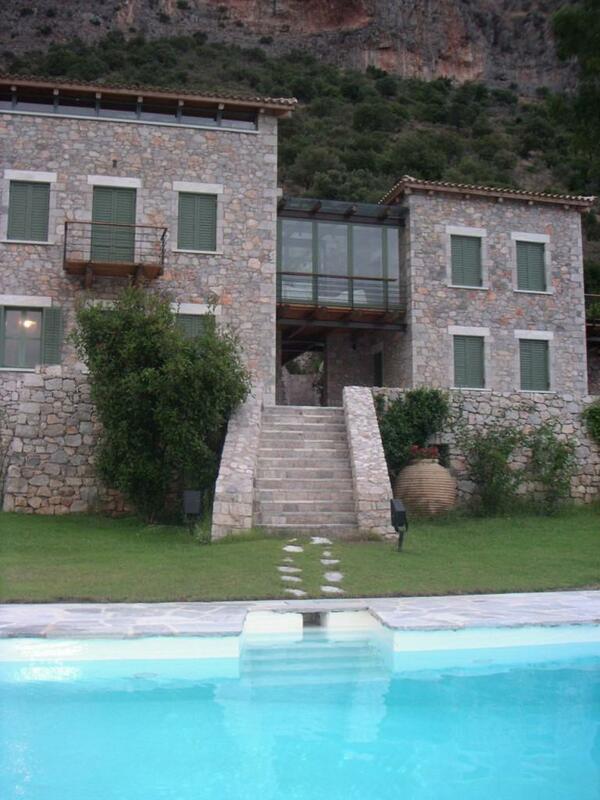 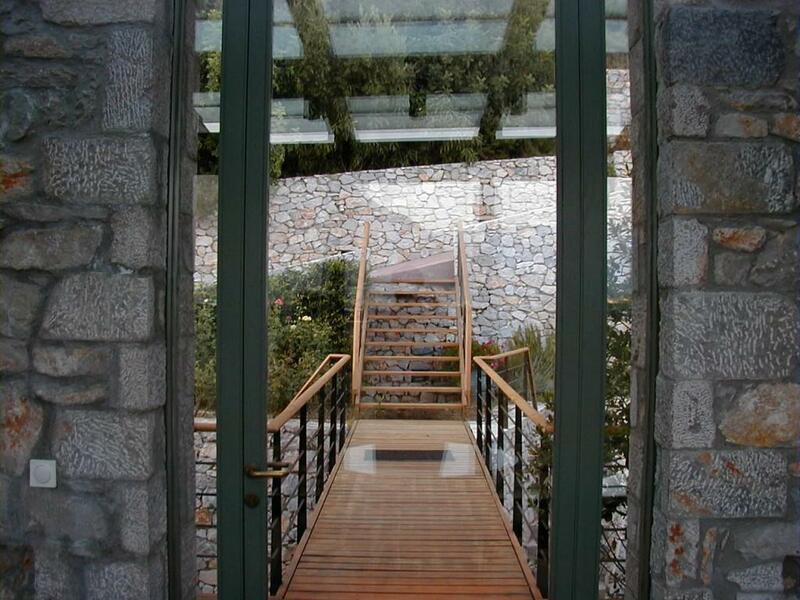 It consists of two buildings in traditional stonework situated on a sloping site underneath the steep rock of Leonidio. 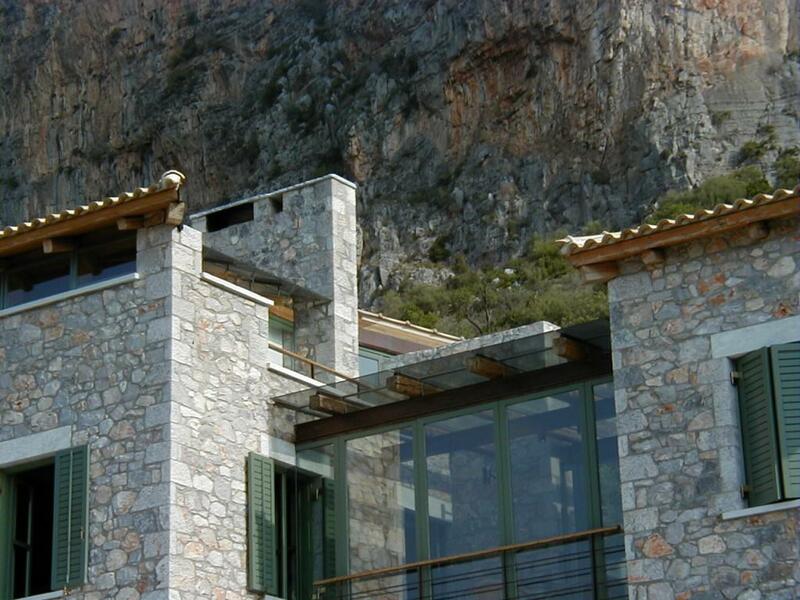 A wall parallel to the rock pins through both structures, setting the main circulation paths and contributing to the internal layout. 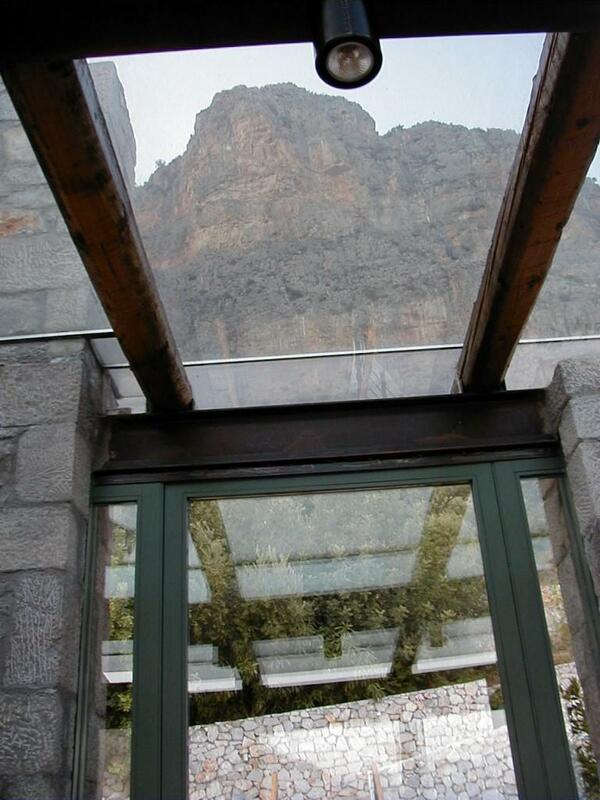 A slanted conceivable axis links the highest peak of the mountain with the estate`s existing old well, by crossing the building and the pool.